Luxury villa with stunning views located directly on the Mediterranean coast. 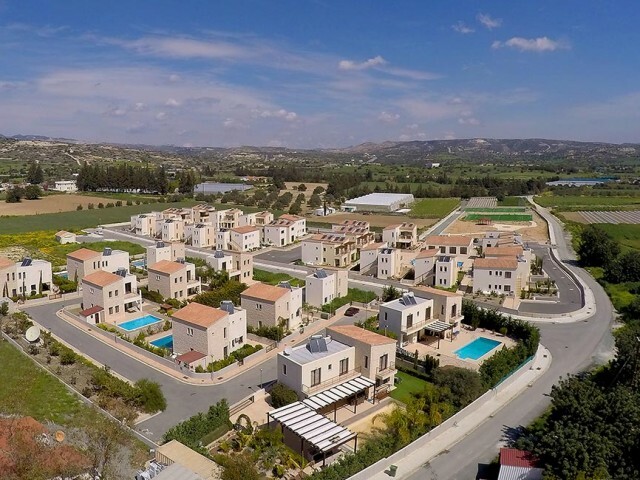 Just 10 km from the city center and 17 km from Larnaca International Airport. In walking distance there are all the necessary infrastructure (shops, banks, restaurants, .. 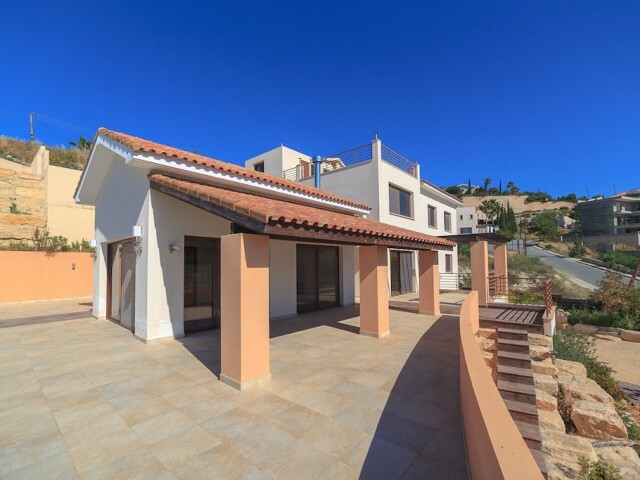 This stunning, modern 6 bedroom villa is located on a mountain top in the prestigious area of Agios Tychonas. The villa offers stunning, breathtaking views of the Mediterranean sea and Limassol. The villa is located in a quiet area at some distanc.. This exclusive two-storey maisonette is full of charm and designed with impeccable taste and exquisite design. Maisonette is built according to the highest standards and the latest design trends with high quality materials in the decoration. On th.. 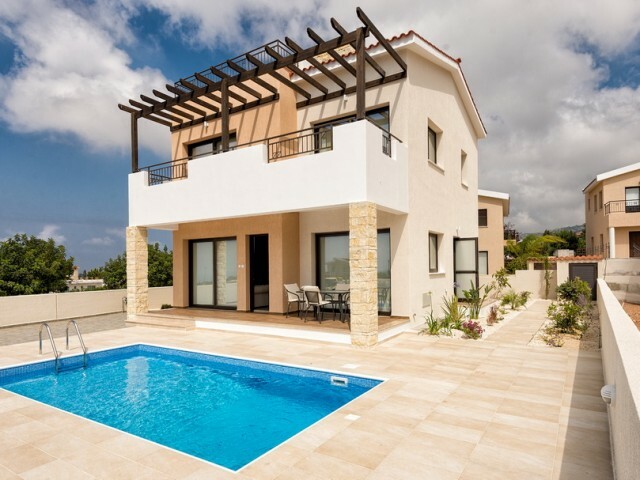 Luxury five bedroom villa in Paphos in the complex. The complex of 32 magnificent villas with spacious, covered pergolas, verandas, private swimming pool area is surrounded by lush gardens and offer a magnificent view of the sea. Maximum condition.. The stylish complex consisting of 13 villas, with panoramic views of the west coast. 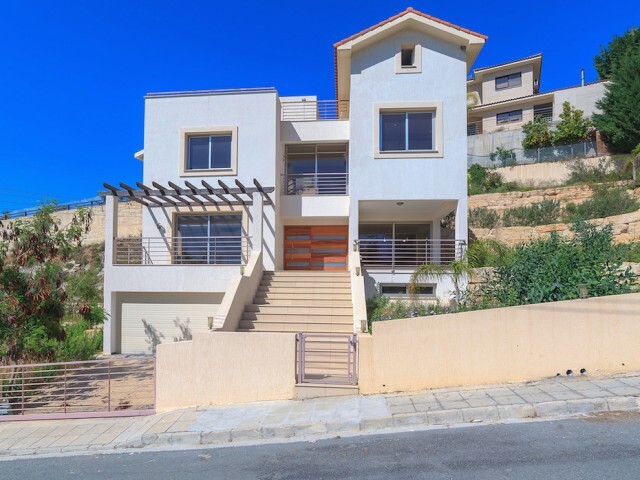 They are conveniently located in a residential part of the village and equipped Peyia, only a 5-minute walk to various shops, restaurants and other useful infrast.. The apartments are located in the charming village of Kalavasos and offer ideal conditions for a permanent stay with family or leisure. New gated complex consisting of one and two bedroom apartments. Ideal for permanent residence or investment. Ac.. 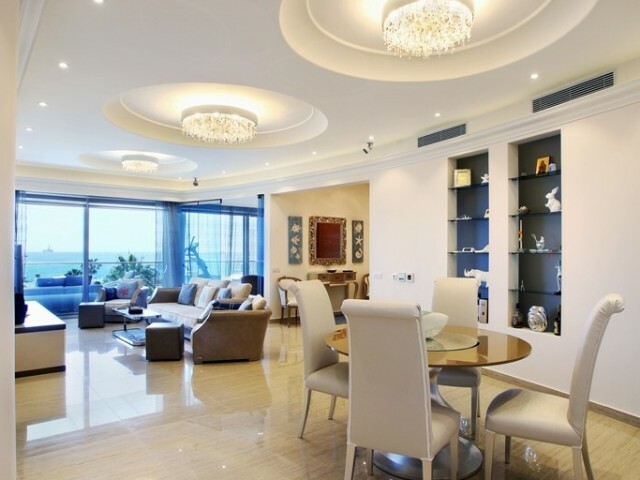 Luxury apartments with panoramic views of the Mediterranean Sea. 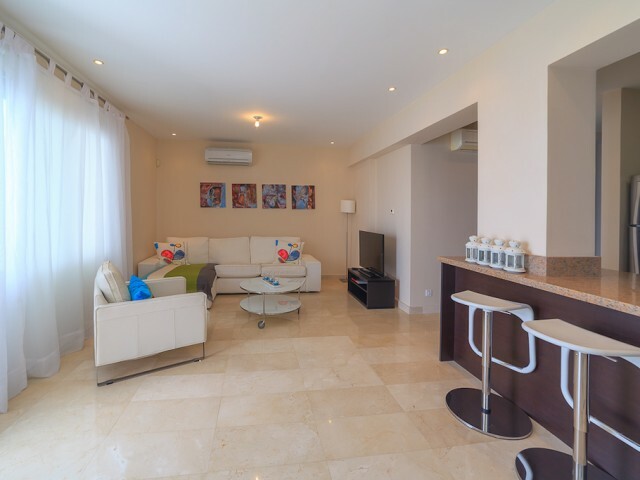 The apartments are located in the heart of the tourist area and have their own private beach, as well as a swimming pool. The apartment has floor heating system. 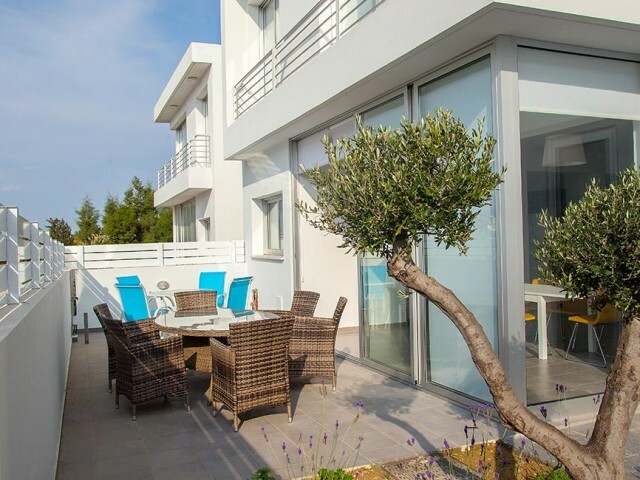 In walking distance ..
Conveniently located villa in the charming village of Meneou, on the southern outskirts of Larnaca offers ideal conditions for permanent residence with his family. The villa is located in a new gated complex consisting of 18 villas. Ideal for perm.. The villa includes a large basement with sauna, wine cellar and garage for two cars; four bedrooms, three and a half bathrooms, a spacious veranda, a heated pool, an outdoor terrace and wooden pergolas plus roof garden. The garden around the house.. The villa is located in a very exclusive area on the hilltop village of Agios Tychonas with unobstructed magnificent views of the sea. The villa includes a large basement with sauna, indoor area and a garage for two cars, five bedrooms, large vera..